The 30W track fittings got a sleek cylinder shaped design and a size of 157mm x 84mm. The standard colours come in black and white. The colour temperatures are 3000K/5500K and the lumen is 2200. The standard light comes without dimming but can be ordered with onboard or wall dimming if needed. Onboard dimming allows you to dim each light on the track individually while wall dimming is operated from a wall switch. The onboard dimming requires the lights to be on a relatively low distance from the floor as they need to be physically reached in order to be dimmed. 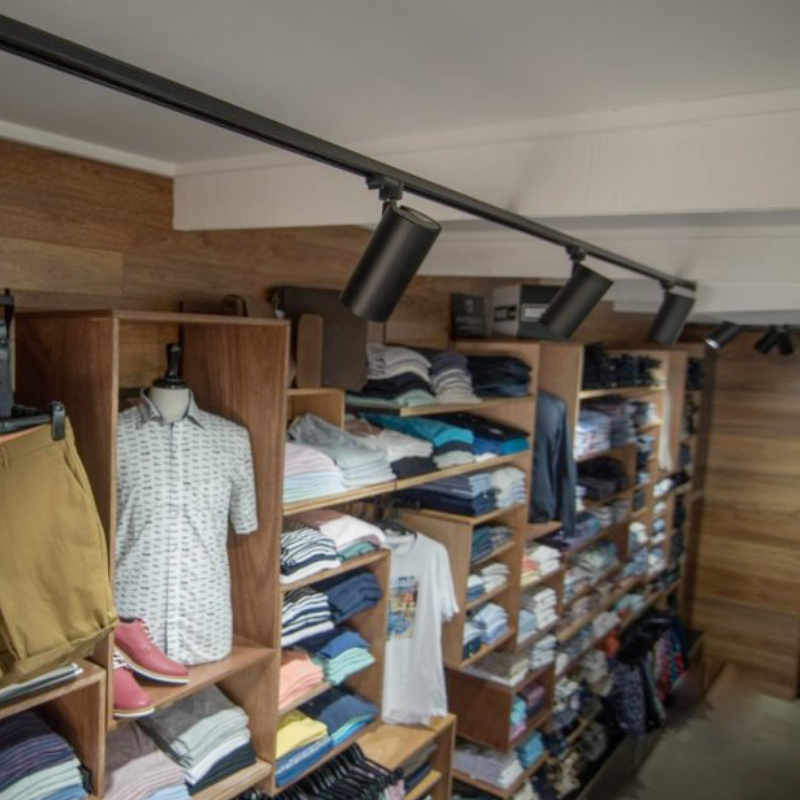 The 30W LED track light is the most common track light to use in commercial settings such as retail shops, showrooms and certain art galleries. Some companies call them the 28W or 32W, this can however, be a bit misleading as they most of the time in fact, are a 30W fitting. This track light fitting can be ordered with different beam angles. These are great for pinpointing and wall washing in places like retail stores where you want a more customized illumination in different areas of the application. 15 Degree Spot: This beam angle can be used to aim at certain merchandise or to pinpoint a brand for example. This is a very effective way of directing customers’ attention to the products of a store and thereby increase the sales for example. 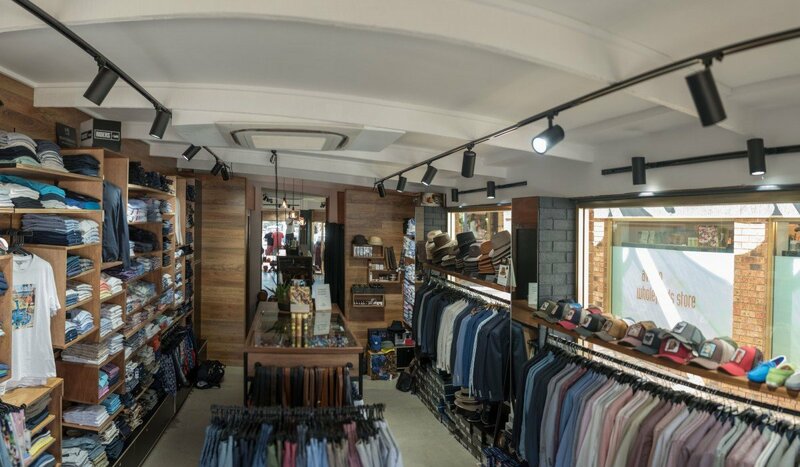 It’s also an aesthetically appealing way of illuminating a store as each individual area of the store is illuminated to fit the specific merchandise. 45 – 60 Degree Flood or Wide Beam: If you have a large surface or a whole wall space you want to illuminate, you can use a wide 45-60 degree beam angle in order to wall wash the whole space. This will give you a nice and even illumination that covers the entire area. The 30W led track light come with 1,2 and 3-meter tracks. These can also be custom cut down to the desired length within the 1-3 meter scale in order to fit different applications perfectly. The tracks can be put into different shapes so that they go perfectly with the shape and size of the wall spaces of an application. Single Circuit: This track type got a light and slim design that is easy to install and allows for dimming of all lights on the track at the same time. This is a very fast and easy track to use in applications where you want general dimming for the entire room. 4 Wire 3 Circuit: This is a chunkier and more expensive track type, but allows for group dimming of the lights which is great in an application where you want the different intensity of light in different areas of the room. The dimming is operated from a wall switch where you can choose to dim the lights in three different groups. In some applications, it’s not possible to surface mount or recess the light fittings or it’s simply not the best fit for the room. 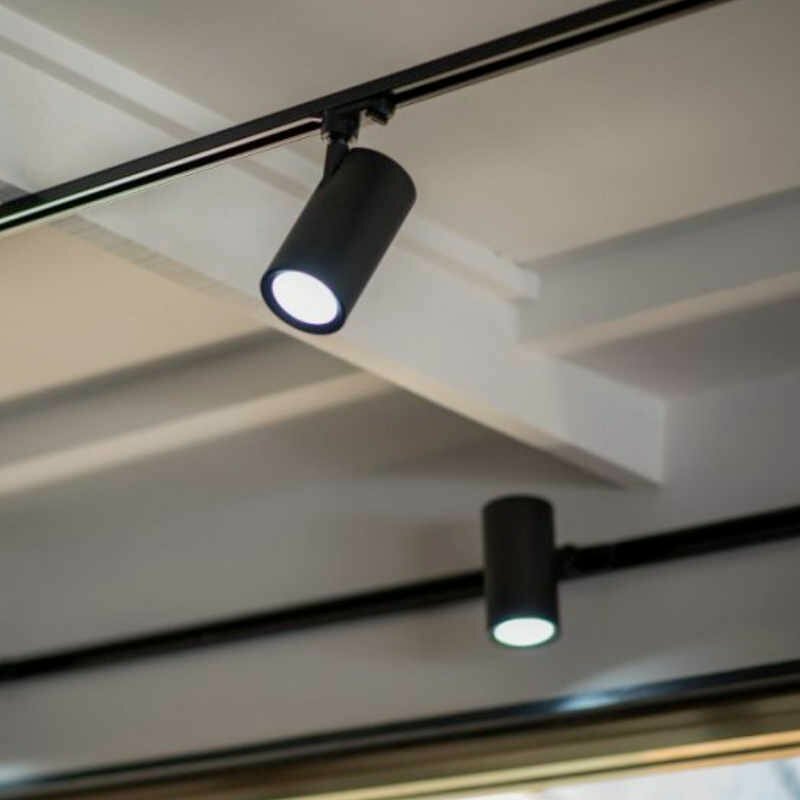 In applications with very tall ceilings, for example, you might need to bring the lights down to a more convenient lever or the ceiling surface might be too rough or uneven to attach the lights directly onto. An alternative then is to suspend the tracks via a suspension kit. These come in 1.5 and 3-meter lengths but can be adjusted down to a more customised length for the given application. The 30W track lights are the most common replacement lights for the older style halogen and metal halide fittings. The LED track light fittings are a much cheaper and sustainable alternative that requires no maintenance thanks to their great technology. Our range of 30W LED Track Lights are very popular in a number of applications such as residential, retail, showrooms, offices and galleries. The design has proved itself aesthetic and practical in a number of different projects, keeping the end user and project designer very happy with the outcome. This light is designed to replace a 50W halogen track light and fit into the existing track. It comes in the colour temperatures 3000K, and 5500K and the lumen output is 1200. Depending on the application you plan to use 30W LED track lights for you will need different advice on how many lights to use per metre, beam angles, light colour, installation methods etc. 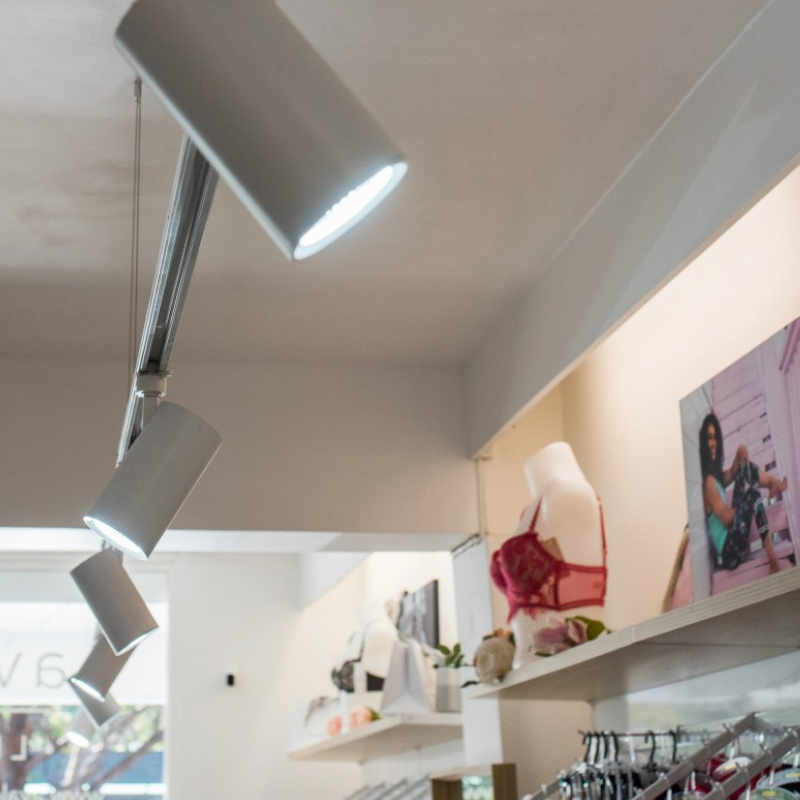 More powerful LED track lighting is generally used in retail areas, but requirements may change with lower ceilings. 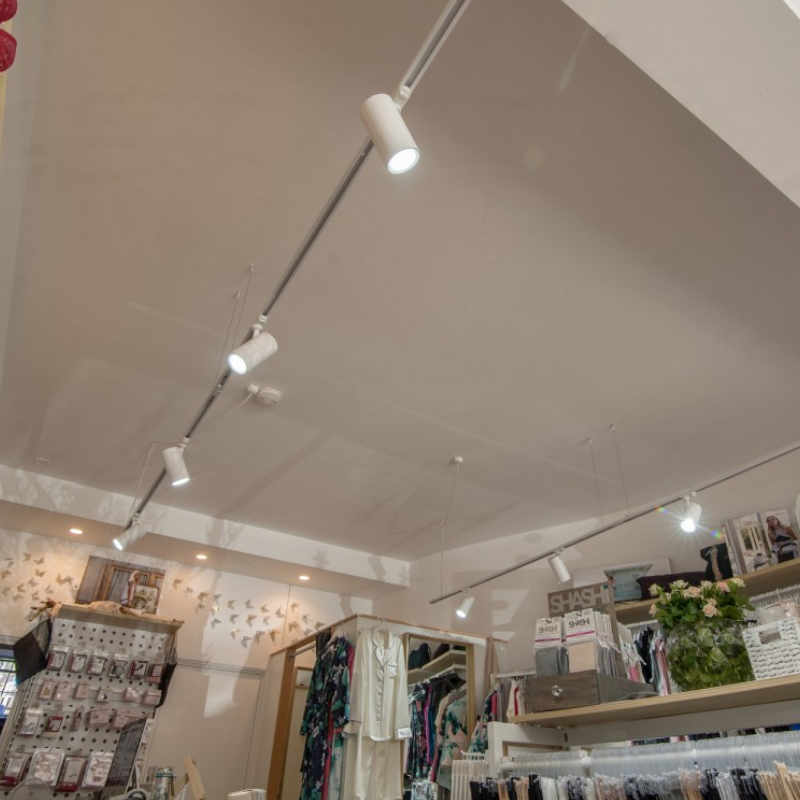 A ceiling around 2.8 meters high is well-suited to a 30W fitting; using a higher wattage with a low ceiling may result in lighting levels that are perceived as being too bright. For lounges and family rooms, a popular option is our 30W LED track light. It can be used either to spotlight particular areas or spread light over furniture and artwork. The user can aim the light in any direction to put the focus on the desired locations or items. These lights are also a great choice for kitchens, as they provide ideal illumination for cooking, cleaning and similar activities, without harsh shadows. You can also use them to concentrate light on benchtops or other areas of importance. Our 30W track lights are a flexible system that allows you to adjust the light up or down to suit the needs of different areas. This makes them ideal for showrooms, where they can be used to effectively illuminate constantly changing key products and display areas. 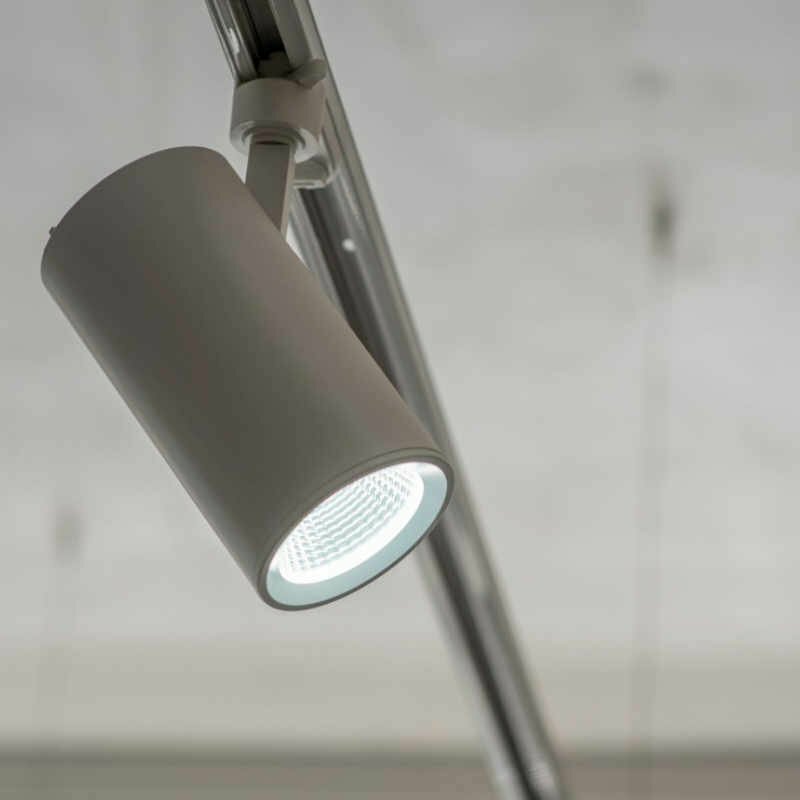 In office settings, the 30W track light is an excellent choice. Use it to pinpoint light on work areas while keeping pathways and other less essential areas at a lower level. This will help improve worker concentration and reduce distractions, improving productivity. Those looking for lighting solutions in art galleries find our 30W LED track light an appealing option. 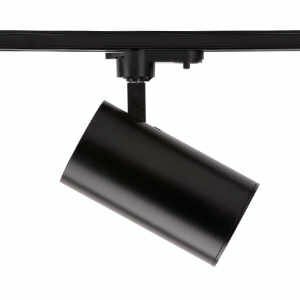 These lights provide the ability to to adjust the beam angle so you can spotlight objects large or small—perfect for displays that may have objects that vary greatly in size. For example, you can pinpoint light on a small piece of jewelry or flood a wall for a large painting. You can also dim the illumination level to create the exact mood or atmosphere you are looking for.